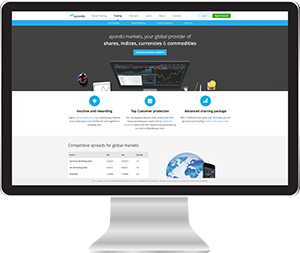 SpreadBettingPortal.com > Spread Betting Training Course > What About the Fundamentals? By now you may be wondering why so many investors talk about P/E ratios and other financial terms. You have just been told that technical analysis is all you need to figure out if the stock, or some other financial instrument, is likely to go up or down. Fundamental analysis is said to be the foundation of investing, for without it due diligence cannot be completed, leaving the investor unprepared for the potential impact of news flow, earnings announcements or macro-economic data. The idea of fundamental analysis is to study quantitative (use of metrics such as price earnings ratios (P/E) i.e. numerical factors) and qualitative (related to the quality or character of the security) analytics to help decide on the intrinsic value of an investment. For example, prior to a purchase of McDonalds (MCD) shares, significant due diligence including the comparison of P/E ratios, dividend payout and earnings per share with the rest of the sector could be undertaken. Informative though it is, this quantitative analysis discounts the qualitative features of McDonalds, and this could be costly. A brand as strong as McDonalds is recognised by billions of consumers worldwide and as such has a value that is hard to price. Most businesses can sell fast food successfully but few are as globally recognised as McDonalds. As much as anything this example demonstrates the importance of paying attention to both tangible and intangible aspects of an investment. 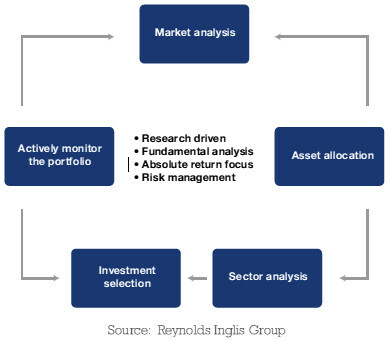 These strategies are widely used by funds across the world to study the “bigger picture” and assist with investment allocation. The top-down approach mantra says it is imperative to analyse the health of the global economy. This can be achieved by studying Gross Domestic Product (GDP), an essential metric when analysing an economy as it shows the value of all final goods and services produced within that country over a given period. 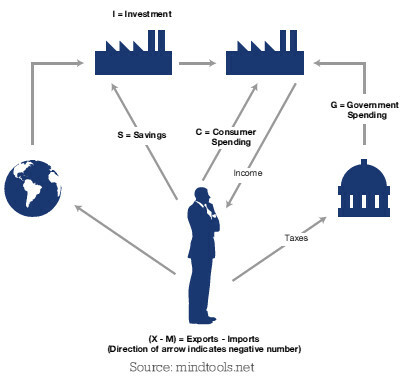 The calculation is as follows: Consumer spending (C) + Gross Investment (I) + Government Spending (G) + (Exports (X) – Imports (M)). Once an understanding of the health of an economy has been established, the next step is to study previous growth patterns of the chosen country, to get a better understanding of how the economy performs and handles boom and bust, or in financial terms the business cycle. If it is believed that an economy is at the peak of its business cycle, any investments selected further down the chain are likely to be risk averse on the basis that a market at peak may sell off, leading to losses (provided the investments are long). Since the equity market lows in March 2009 through to 6th September 2012 the S&P 500 has returned 110.4% versus the Stoxx 600 which has posted gains of 70.86%. This means an investment in the S&P 500 would have outperformed the Stoxx 600 by approximately 40%. The main reasons behind this are the performances of the economies (US versus Eurozone). Where austerity has been the primary focus for Europe over the past 4 years, stimulus in the form of quantitative easing is the current US theme which has helped boost US GDP by approximately 1.2% since March 2009, versus a -0.9% contraction in the Eurozone. It is clear that GDP has an important bearing on stock market direction, as the majority of the companies listed on the exchanges will be influenced by the performance of the economy, however you should also be aware that over recent times a decoupling of home state exchange/economy has emerged, in the case of the FTSE 100, circa 70% of the stocks listed operate primarily outside of the UK. Once you have selected an economy that you believe is likely to outperform or underperform, the next move is to identify sectors that will benefit from exposure to these. For example, if it is accepted that China as an economy is likely to grow over the next year at 8%, then a strategy could be employed to gain exposure to commodity based assets or luxury consumers who earn revenue from China as a middle class develops in line with the emerging nation. This is known as microanalysis. Once the growth sectors have been identified, the next step is to compare and shortlist the stocks within the sector that you believe will outperform not only their peers, but also the sector and the benchmark index as well. A real benefit of this strategy is that it tends to prevent investors from over-investing in “risk on” assets. If a bear market situation develops with declines of 20%, the probability of successful investments reduces dramatically even if an equity correction has been anticipated. Tip: If GDP is the mechanism and the Stoxx 600 reflects the market valuation of the companies based on the current economic climate, then it is important to try to predict whether the economy gained or contracted in value during a trading quarter. Historically there are strong correlations between stock market indices and an economy’s GDP. There are many indicators that can help an investor position themselves in relation to GDP. The US ISM manufacturing figures are a good leading indicator as it is released monthly and gives a reading on the manufacturing industry in America, which accounts for approximately 10% of US GDP. The bottom up approach is a complete reversal of the top-down strategy. In bottom-up analytics investors look to combine the story of a company with its numbers (qualitative vs. quantitative) and build an investment portfolio one company at a time, based on research. The story is the theme behind the reason for the investment – it looks at the characteristics of the company and tries to separate the wheat from the chaff. A company’s products and management are two of the most important components when carrying out qualitative analysis. Future earnings will be heavily dependent on the company’s ability to remain a market leader within its sector by producing products or services that are hard to match or replace. Management is also important through times of adversity and prosperity as investors look to the strength and stability of the management team to ensure the company is steered in the right direction at all times, with a view to maintaining or increasing shareholder returns. Once a comparison is drawn between two comparable companies in terms of products and management, assessing numbers and key financial ratios can help to establish the company most likely to outperform sector peers over a given period. Quantitative analysis is an important part of the bottom-up approach – without it a company’s intrinsic value would be difficult to determine – and it provides a good understanding of the level of financial prosperity that can be expected going forward. The benefit of a bottom-up strategy is the opportunity to grow to develop your knowledge of the company and understand the investment better, which in turn should hone a rounded stock picking technique and increase returns. Tip: Analysts at investment research houses and banks are paid to follow a strict number of stocks based on the sectors they have decided to take an interest in. If markets are efficient, it may make sense to avoid trying to outsmart analysts who track a company for a living. Instead, use financial ratios to help identify what the market believes is the best stock within a sector, as this will help free up time to analyse the qualitative parts of a company or the “story”. Studying management performance and product or service development is considered by many to be easier to understand than financial balance sheets. Key ratios investors should consider using are Earnings Per Share (EPS) – where any significant deviation from the consensus is key and the Price / Earnings ratio (P/E), where multiples of less than 10 or over 20 can suggest value or expense respectively. Whilst these are not necessarily a definitive reason to invest in a company, they do give insight into which companies are more profitable, based on the amount of equity they have. It also tells an investor which stock is favoured more, as the market may be willing to pay more to get exposure to a company in the belief that it has earnings momentum versus its peers. 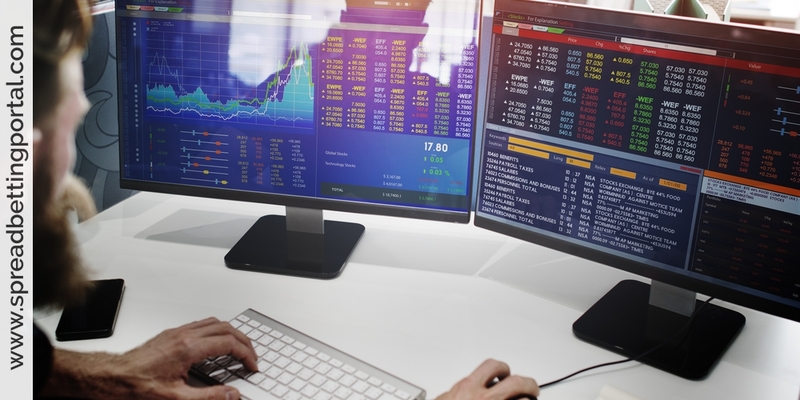 Investors commonly apply thematic trading coupled with macro-top down analysis, as typically a theme is considered to be a big picture trend, although it can also offer a small snapshot view. The idea behind thematic trading is to find themes in an economy or a sector and to establish what investments will be influenced by these themes if the theories are indeed correct. A long-standing theme since the turn of the financial collapse has been the participation of central banks in unilateral printing which has helped to create “cheap money”. The devaluation of currencies and new money entering the system increases the likelihood of inflation, so as a hedge against this investors have been buying Gold in anticipation of more QE and inflationary pressures. The truth is that there are two aspects to the financial markets. The one that you are learning about now is commonly called trading, or perhaps even short-term trading, and the other aspect is investing. The goals are different and the approaches are different. With trading, the chief influence on the prices is how other buyers and sellers perceive the stock or financial security. The timescale is just too short for there to be any real building of wealth that should be reflected in the price. On the other hand, with investing the buyer is looking for something to put his money in that he may possibly almost forget about for several years. He wants something that will increase his capital steadily and without too much risk. The investor is characterized by the phrase buy-and-hold. Typically he is putting money away for a “rainy day” or for retirement. When you are talking with people about spread betting or buying and selling shares, you need to be clear on the timescales involved. With spread betting there is a set expiration date, even though you can automatically roll over the daily bets to another day. Anyone who invests would not consider such a device for their money, as they intend to hang on to the investment for a long time and do not want regular charges or payments. Most traders tend to develop their own style and then stay with it. This will be a matter of temperament. If you are really interested in the world, geopolitics, the impact of government actions in markets and where economies are going, then you should trade fundamentals, while keeping an eye on the charts. But if your instincts draw you toward programming, patterns, rules and the scope to link these up in an indicator, signal or automated trading program then stick with that, so long as you overlay a risk management system. A typical example of a very successful investor is Warren Buffett. He is always at great pains to analyze any company before investing in it, and given his wealth I’m sure he finds he can talk to any of the company officials if he wants information. He is a billionaire, and shares in his company trade for six figures – each! But he has hardly any turnover on his holdings. He buys shares in excellent companies and hold them for many years. You may find some financial advisors who are like this. They spend their life studying the markets, sometimes specializing perhaps in the energy field, they know company accounts back to front, and have a good idea of what they expect companies to do in two or three years. The financial expert in energy may not know much about the banking industry, as it takes some effort to become familiar with a particular market sector. That is one way in which technical analysts are much better off than fundamental analysts. You see, because of the way technical analysis works, you can get a good idea what prices are going to do tomorrow or next week without going through all the accounts. You can apply the skills that you learn to the foreign exchange market or to commodities. There are a couple of other notable differences between technical analysis and fundamental analysis. As they look long-term, fundamental analysts tend to consider only which are strong companies, ones they can go “long” on, buying shares. The technical analyst is not restricted in this way. He doesn’t care if the company is strong or weak, if the price is going up or down, as long as he can predict the right direction. Sometimes more money is to be made by trading “short” in companies, as prices can fall faster than they rise. Either way, the trader can make money whatever the market decides to do. Rather than considering the foreseeable future, years away, as an investor must do, the trader is able to choose the time period preferred, as long as it is relatively short term. For instance, day traders may go in and out of trades every few minutes whereas some swing traders may make money over a week or two. It’s still not so long that fundamentals make much difference, but by looking at different time scales on the charts traders can apply the same principles to many different periods, as suits their disposition and available time. This concludes the introduction to technical analysis. Technical or fundamental analysis, or a combination of the two, remain vital if anyone wishes to make a consistent profit in this fast moving, challenging market. Technicals will help you devise a system that works for you. And just because it’s called technical analysis you don’t have to worry about it, you don’t have to do much mathematics as there are many tools to do that for you. If you can learn the principles, then you can experiment and come up with your own unique way of trading that suits your disposition.